﻿ Meeru Island Resort & Spa, Maldives Islands | FROM $249 - SAVE ON AGODA! 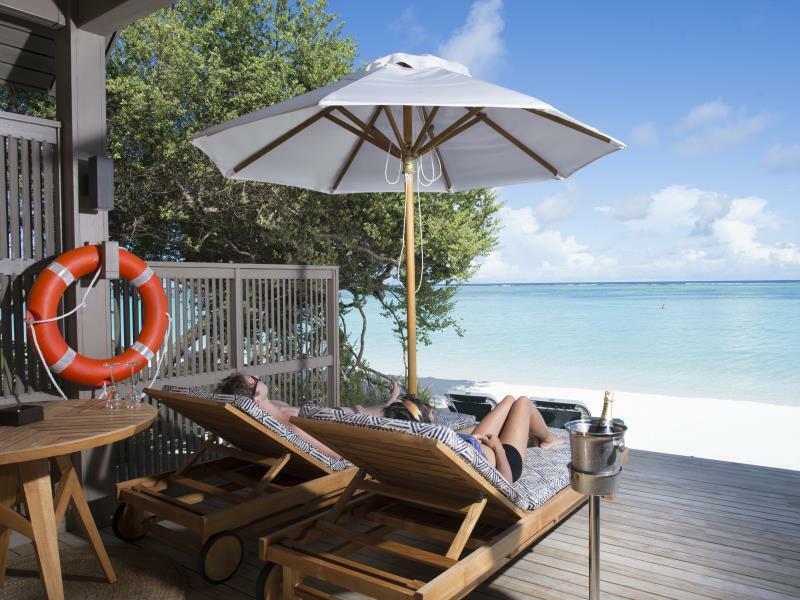 Have a question for Meeru Island Resort & Spa? "Nice resort near the airport (only 55mins by boat), Staff are very sincere and helpful." "We are also lucky to got Kamana Yatch trip, All staffs are very nice both at the resort and on board." "Good ambience, friendly staffs, beautiful beaches"
"Great food options for a vegan!" Fruit plate and flowers in room upon arrival. Government Green Tax for infants (under 2 years of age) is to be paid directly to the hotel. 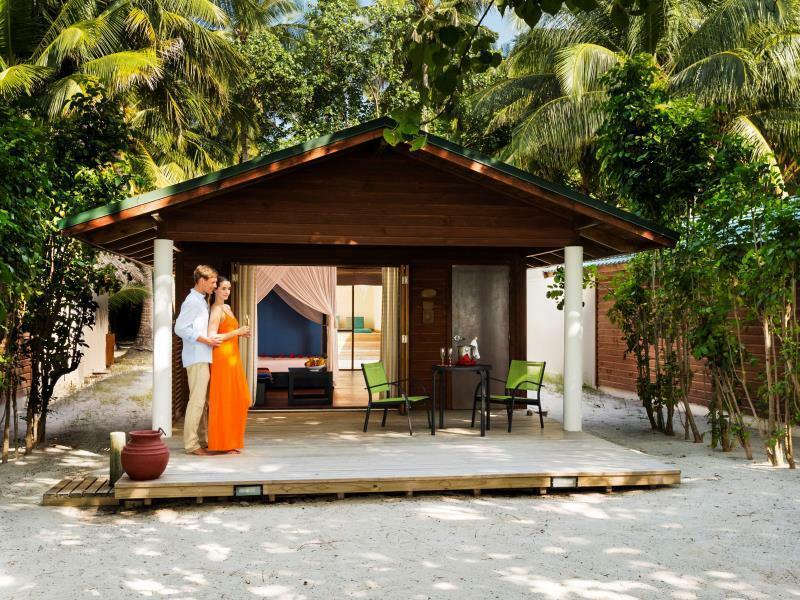 - Breakfast (from 07:30 AM to 10:00 AM), lunch (from 12:30 PM to 02:00 PM), and dinner (from 07:00 PM to 09:00 PM) at Farivalhu Restaurant for guests staying at the southern end of the island, and in the Maalan Restaurant for guests staying at the northern end of the island, ‘all you can eat’ buffet style. - 24 hour snack menu served at Dhoni Bar, from 10:00 AM to 10:00 PM at Hot Rock Bar and Uthuru Bar. - Unlimited special snack menu, including pizzas, burgers and ice-cream from 10:00 AM to 07:00 PM at Dhoni Bar, Hot Rock Bar and Uthuru Bar. - Meeru bottled water (1 litre) - non-carbonated, house brand. - Soft drinks - Coke, Diet Coke, Fanta Orange, Sprite, ginger ale, bitter lemon, iced tea, tonic and soda water. - Blended drinks – milkshakes and smoothies. - House table wine - red, white and rosé. - House brand spirits - gin, vodka, rum, whisky, tequila and brandy. - All cocktails and mocktails - house brand spirits. - The minibar is refilled once per day on a regular schedule. - Half bottle of Champagne, per room, per length of stay. - One Sunset Cruise, as per schedule. - One Dhiffushi Excursion, as per schedule. - Twice daily free snorkeling trip to the resort house reef, as per schedule. - Half hour Group Snorkelling Lesson (equipment not included), as per schedule, per length of stay. - Half hour Group Windsurf Lesson (equipment included), as per schedule, per length of stay. - Half hour Group Golf Driving Range Lesson (equipment included), as per schedule, per length of stay. - Free use of the fitness center, golf driving range, use of the tennis court, beach volleyball and badminton courts, table tennis, billiards, snooker, darts and football grounds (equipment included). - Free use of the 9 Hole Pitch ’n Putt Golf Course (equipment included). - Free use of the kayaks and windsurfing boards (equipment included). - Free Yoga Session in Duniye Spa; group sessions, regularly scheduled; includes Pranayama, Asanas and Yoga Nidra. Food from other restaurants, room service, the gift shops, beverages, blended drinks, fresh juice mini bar, sports centre and excursions items not listed above. Food and beverage is for your own consumption; beverages are served one glass at a time, while at the resort’s restaurants or bars. Meeru only accepts guests 18 years and older in the Uthuru Bar. Management reserves the right to stop serving alcoholic beverages to inebriated guests. The All Inclusive Plus Package is available only for the guest’s entire length of stay. Guests must sign all food and beverage bills, except for buffet meals. Bills do not include prices and no charges will be posted to the hotel account for those benefits included in All Inclusive Plus Package. The minimum age required to check in is 15 years. Definition and destination of the perfect honeymoon. We had an overwater jacuzzi villa for 3 nights and the joys and memories it provided us was unimaginable and would last for a lifetime at least. The food, the services and the staff all were in perfection. The natural beauty for which we had gone there in the first place was even more breathtaking in person. The activities in the all inclusive package were worth it and we recommend the same for all. Room services special the honeymoon part and hospitality were extraordinary. We will definitely like to visit it again and will recommend to all in the lookout for the perfect getaway. We loved our stay here. We had a jacuzzi water villa and loved it. Loved watching the fish swim below our villa. Attention to detail, service and food was great. We also went on an overnight cruise which was amazing. We swam with sea turtles and saw a manta ray! We dont have great time in meeru..after our long flight and ask them what time our boat one month before our arrival..they dont say anything..after i arrived i have to wait almost two hours exhausted and still have to wait..the staff is not the best like money oriented for tips..no fish at all around the vila..never going back there. My partner & me had a wonderful stay on Meeru Island. We booked 3 nights stay for Jaccuzi water villa. 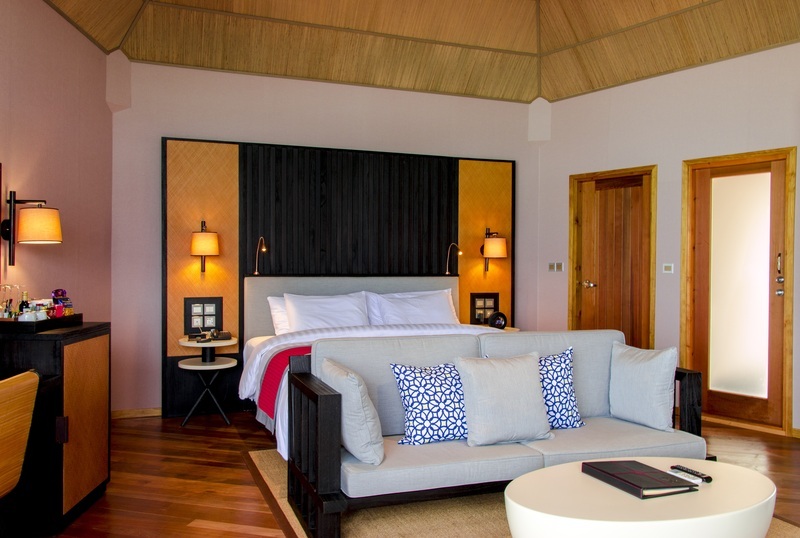 As our request we were given room 733 (the end of water villa) which have the best view of the sea & privacy. We love it very much. For those who afraid of insects suggest not to choose garden room. 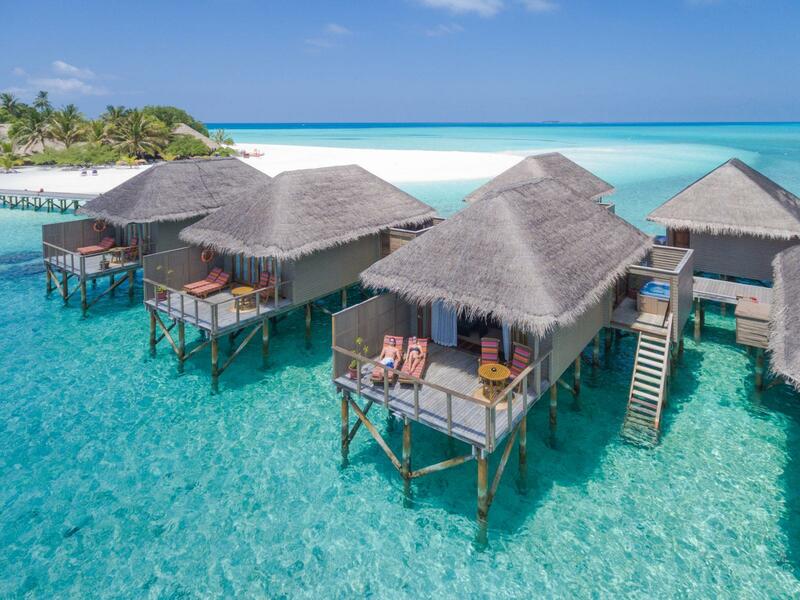 Our water villa is absolutely clean & comfy. All Inclusive Plus Package is recommended, we enjoyed the food & activities provided. Staffs are polite & professional. I wish I can come again in future. I would have returned to the previous resort I went a few years back if only it wasn't fully book but I tried to give Meeru a chance. My first time in maldives was beautifully but Meeru made up my mind never to return again. Staff here works with a stoic face not very smiley or genuine some don't even speak proper english. Was on a full board package & trust me there are plenty restaurants on the island but don't understand why we were all stationed to the same restaurant everyday every meal at the same table-the system was rigid & very troublesome to the point that dampened us mostly. All purchases charged to the room-u cnt make a choice. Even after you checked out they are still asking for your room no. because payment can only be made at one place- the checkout/in counter. No fishes - nothing beautiful on the island that can make it memorable. The villa we stayed in was constantly saunahot in the day- aircon at its lowest makes it bearable. Nearby island gave us more memories. Not much seafood during lunch and dinner buffet. Not much variety of food even for the cafes by the pools. However, snorkelling was great fun at the 700m near the water bungalows and we caught the most amazing sunset on the island. The service was amazing from the housekeeper (we stayed in room 626 with the jucuzzi beach villa) to the waiter at the restaurant to the front desk and there are always guards around making sure u r snorkelling safely in the sea. Extremely organised and well-maintained property. 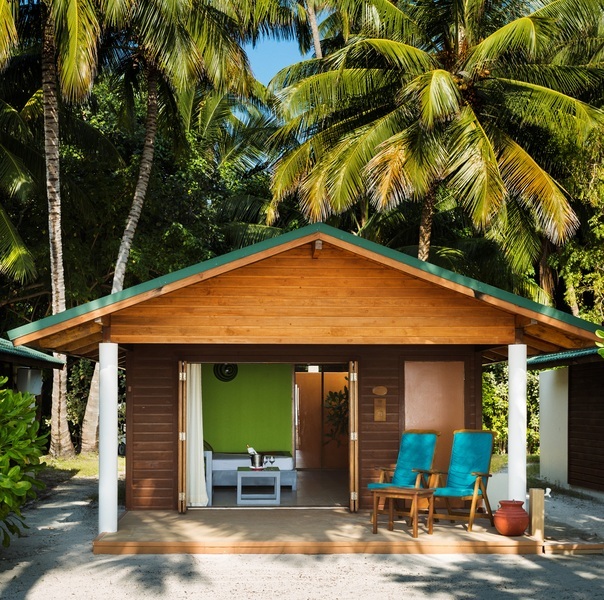 Personally i dun like outdoor bathrooms as lizards and what not insects tend to come out at night but its not an option since all resorts on maldives seem to build their bathrooms outdoors. No words can ever describe the ‘almost-perfect’ stay that my husband and I had. We booked for 3 nights and suddenly we have been offered for an option to have an overnight cruise for a free! Of course we will say yes! Onboard Hagern Cruise Ship, we had snorkeling at turtle ref, snorkeling with Mantaray where we saw in front of our eyes the 2.5 - 3 metre manta swimming just about few feet from us! The cruise’crew tried their best to losate manta but unfortunately luck was not at our side to see more. Although with only 1 manta, it was, by far, the happiest memorable moment for us. The other 2 nights we stayed in jacuzzi water villa and we have been upgraded from full board to all inclusive! Wow! I just can express how thankful we are. Overall, i have nothing to complaint. The toilet has it’s own water hose next to it. They gave us 2 pairs of meeru flipflop. Buffet selection was wide and all ate tasty. They tag every dish with the details to suit different dietary requirement, e.g halal, vegetarian, gluten free etc. The view was mesmerising. It was hot but with breezy wind, we feel cool and relaxing. The services were beyond 5 stars. Thank you meeru! - 50 mins speedboat ride from airport (ard 45 mins ride to airport). Speedboat only for Meeru resort travelers - Island ground covered with sand only (other than toilets and villa room), hence can choose not to wear shoes at all! - Buggy to send you near to the villa from the reception and ard the resort island if required, just need to inform the reception - 2 reception: one main, one north (for the 700s over water villa and water villa) - north side is the adult only area, good for couples - must take all inclusive plus package for food and (many) selected beverages though food so-so only (not impressive) - can only go to the restaurant near your villa for meals as they have assigned certain number of guests for each restaurant to avoid over crowding - do not recommend signing up for the free snorkeling at house reef and sunset cruise (nothing to see) - if you staying at north side of the island, the sunset is beautiful at the beach. 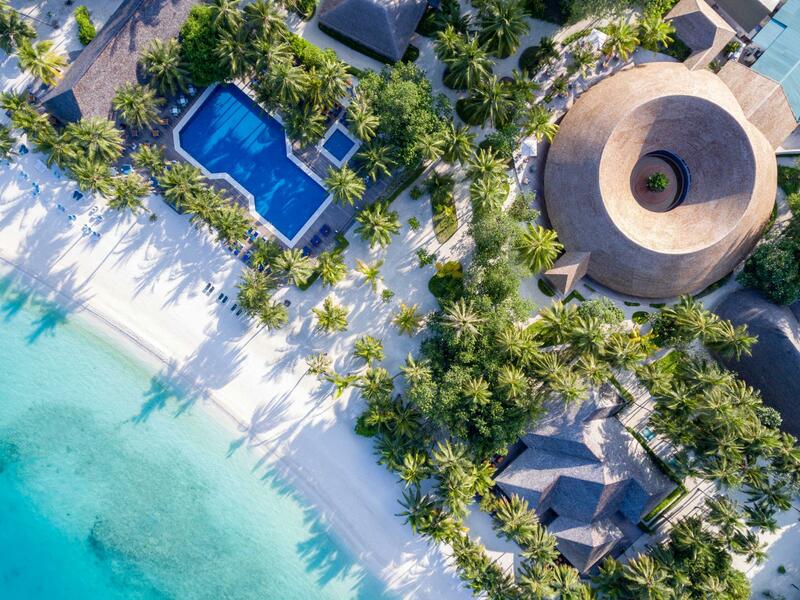 - odd number of the 700s villa for sunrise and even number for sunset - usually low tide in the morning, good to snorkel ard your own over water villa, can see many fishes. I can't imagine a better or more perfect resort for the money than Meeru. The whole island is the resort - we didn't wear shoes the entire time we were there! It was luxurious while relaxing, pampering and comfortable. The service is excellent and personal - from our welcome to our restaurant server to the snorkeling trip to check-out. The food in the restaurant was outstanding and varied. There are a plethora of fun activities: 9 holes of golf, fitness, spa, snorkeling, entertainment, etc. Our beach villa was huge - and we loved how the shower, bathroom and Jacuzzi were outside. We are trying to figure out how to go back. I wouldn't dream of staying anywhere else in the Maldives - and only a short 50 min boat ride from the airport. Many thanks Meeru for making our stay amazing and memorable. Wife and I stayed for our honeymoon. Staff were mostly friendly and responsive to our needs. Water villa was amazing. Got to see a ton of wildlife. Overall we had a great time and would recommend meeru to anyone. However, there were a few issues. Booked through agoda and got a good deal but as stated in reservation needed to pay for speedboat transfer 155 usd per person round-trip. This amount is excessive considering service rendered. Especially when they use the same boat to transport employees. Called to check out and requested a golf cart to transport us to reception. Staff said yes sir... No cart in site and worked up a sweat carrying our luggage in the midday sun. The villa was showing its age, the wooden decks could use repair/retreat ment as nails were starting to come out of the wood. Also, the desks and bedside tables were really scratched up from previous guests. Can't put in words the amazing time I had at Meeru. Right from booking thru Agoda to check in, stay and check out - it had been a memorable experience. Special thanks to Thasneem who attended us during meals at the restaurant - your ever smiling presence made all our meals that much more enjoyable. Beach villas highly recommended if you are planning with a family with young kids. All inclusive package is a must and takes your mind off the small stuff like water etc. Had an amazing trip - can't wait to return! The island itself is already magnificent. The staff were all accommodating and very attentive to the needs of their guest. We want to mention specifically our housekeeper Mr. Naseer while we were still staying in the garden villa, he always make sure that our room is clean and well organized. To Mr. Aslam our server at Farivalhu, he always make sure that we are happy with the food and we have all that we need every meal time. To Ms. Neesha, the guest service staff, who always have a smile on her face and ready to answer all our inquiries. It is also a plus that the facilities at Meeru are all well-maintained. It is really a honeymoon to remember! Managed by a Aussie. Well maintained resort. Easy boat transfers from Male airport. Extensive dining options for each meal. Stunning aquamarine water with stark white sandy beaches circling the island. Loved watching the fish and baby sharks swim beneath us at night. Great spa over the water. Very helpful staff. Loved the adults only dining venue and dining out under the stars each night. Fabulous new year gala dinner and beach party. If we could change anything it would be the very hard bed and too soft pillows with no other options available, although the staff did send more pillows for us to try but they were the same and were accommodating when we asked for an extra doona to be placed on top of the mattress to help soften it. Recommended. If you ever wandered what its like when people say Ive died and gone to heaven, Then come to Meeru Island. Thw staff are friendly, The beach is gorgeous. the accomodation has everything that you need and more. The meals are to die for with a large variety every day. Will definitley come back again. totally enjoyed our stay at Meeru. The staff are friendly, the island is very clean, and there are a number of activities you can do on the island. We've availed the All Inclusive - so no penny pinching needed on what to eat and what activities to avail.